Let’s all be honest; riding a trainer is just about the last way we want to ride, but sometimes it’s the trainer or nothing. In our professional opinion, riding always beats not riding. So we turn on the box fan, queue up our favorite movie, and get on with it. One company, SportCrafters, has a somewhat different idea of where our trainer should be, though: on the list of race-day equipment. 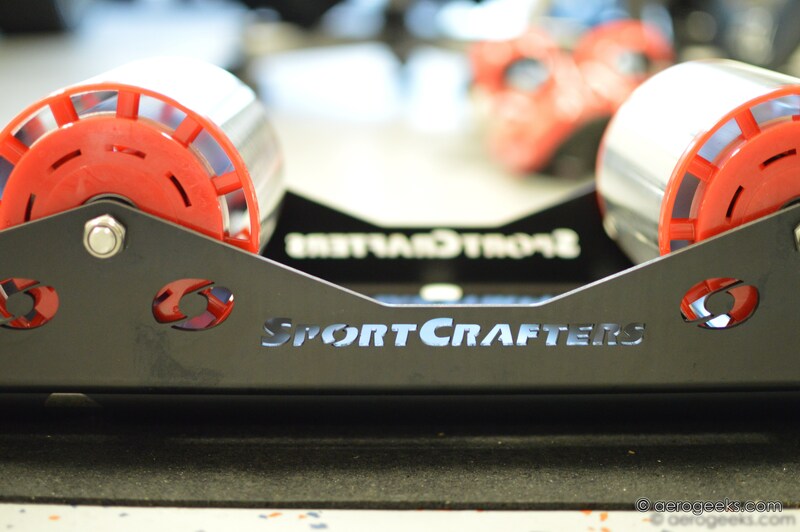 SportCrafters isn’t the highest-profile trainer company out there, but they’ve been making quality rollers for the brand names you know for almost two decades. 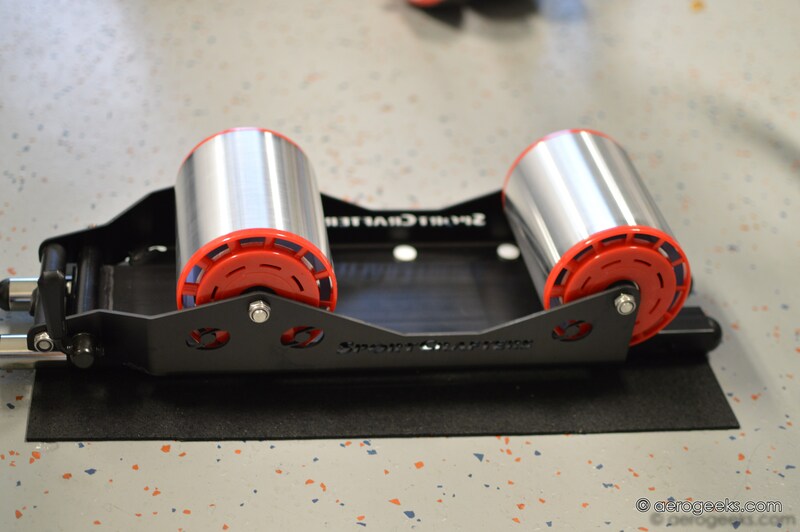 Two years ago, they developed ARC Power Modulation Technology, a roller drum that uses an internal magnetic resistance system to simulate a power progression similar to what you will experience on the road. And they’ve been offering it as an upgrade to their OverDrive rollers ever since—impressing people with the ride quality and no-maintenance that the ARC provides. Their newest product, the Omnium, is an interesting departure from the normal crop of trainers. 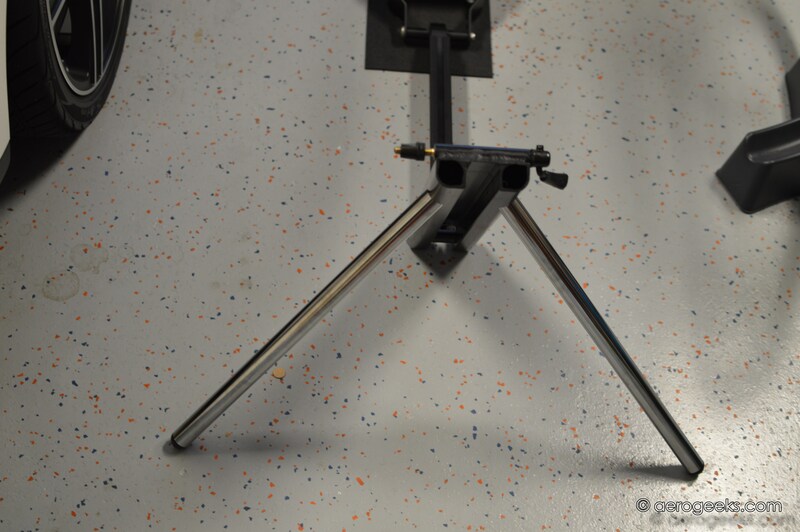 Where you normally have to purchase a climbing block to level out the bike, the Ominum uses an extendable boom and tripod system for the front fork, which locks the front of the bike into the trainer rather than the rear. 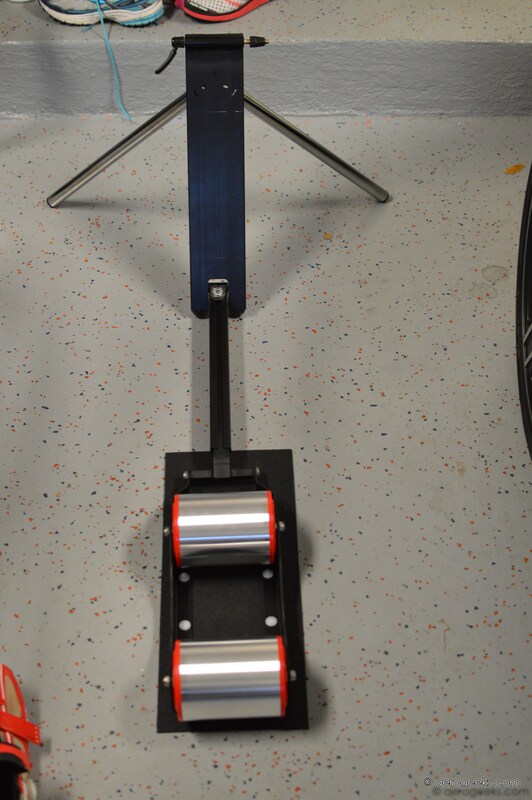 The rest of the bike is left to ride freely on the rear wheel, which sits on a pair of 3” drum rollers and incorporates the ARC system to deal with resistance for the unit. As a result, the Omnium is remarkably compact, and, unlike other trainers, easily stores under a couch or bed when not in use. It can also be set up anywhere that your bike can go, including soft ground, such as grass or even mud, though we don’t suggest the latter. The point is that the Omnium is portable, practical, and offers the ability to have a true warm-up machine without the fuss of a team mechanic or lugging around all the accessories of a normal trainer. 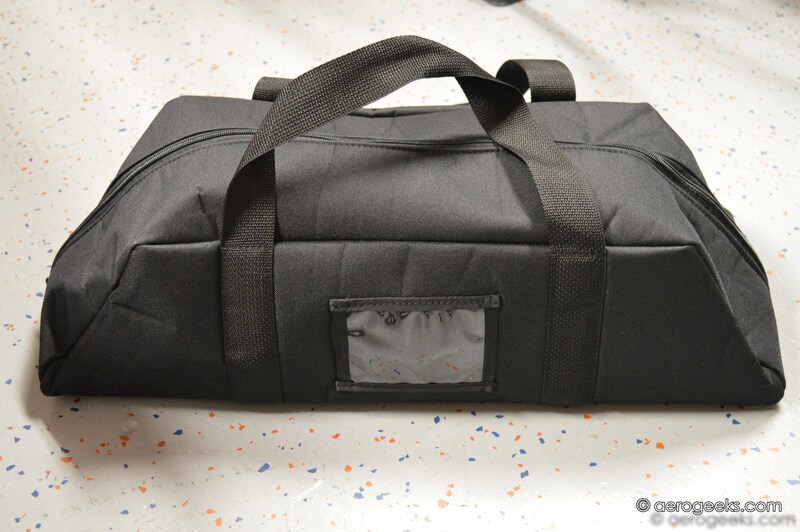 It comes with a carry bag about the size of a mid-sized purse and weighs about 14 lbs, so carrying it with you in and out of transition or hotel room is no big deal. And when used for the intended purpose as a warm-up trainer, it is absolutely fantastic. The resistance is progressive in a predictable fashion, and while we aren’t quite sold on the idea that it feels like being on the road, it’s a lot closer than our more traditional trainers come, and that’s worth noting. You can easily let your legs find their own rhythm; ours seemed to feel that a gear down from “normal” felt about right. When done, pack it back up in under a minute, attach your front wheel again, and rack into transition or line up for mass start. Short of a proper set of rollers, we can’t think of an easier way to get your bike legs warm. And rollers have a significantly larger footprint to deal with. We’ve been using the Omnium for a while and have found that it excels at the stated design goal of a portable warm-up (or down, we suppose) trainer, but the ARC drum simply doesn’t handle high power loads particularly well. Whether this is due to the relatively short width of the drum or a technological limitation of the implementation of a variable magnetic resistance system we can’t speak to. But somewhere north of 250 watts it begins to feel as though it can’t quite keep up with your legs, and in a full sprint drill it will let go all together and begin to spin. Put simply: your legs can, and will, outpace the resistance of the unit – but we’re of the opinion that this isn’t a bad thing. The truth of the Omnium is that it isn’t meant as an every-activity trainer, but at $450, it’s hard to justify it as a race-day-only item, too. The Omnium falls somewhere in between – great for spin workouts and warmups, bad for interval training and sufferfests. We think it’s perfect for maintaining form, but falls short of building it up, and that’s okay. After all, sufferfests are best in company, in the elements, and have café stops afterwards…not your 100th viewing of The Empire Strikes Back. For all that it does, and especially for what it doesn’t, Sportcrafters’ Omnium trainer is an excellent addition to anyone’s training repertoire.